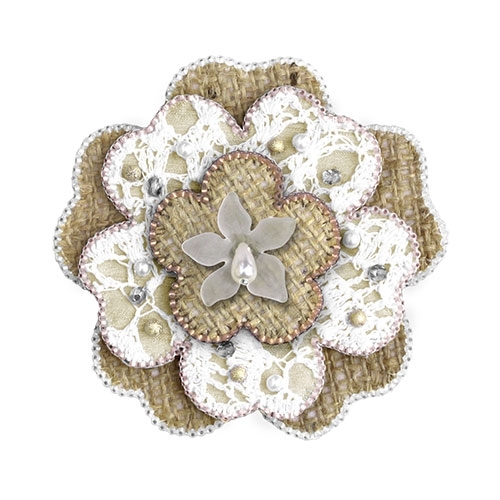 Make your own charming pink & beige flower brooch with this full kit! 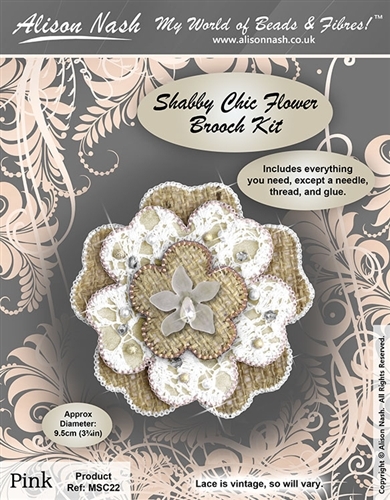 Includes all the beads and materials including brooch back - everything you need, except a needle, thread & glue. The lace is vintage, so will vary. This kit is also available in other colours.